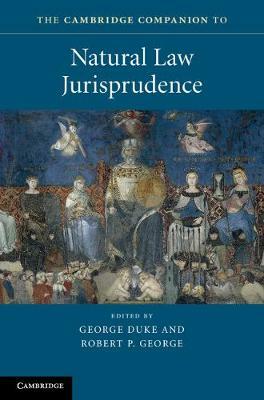 Author(s) Duke, George; George, Robert P.
This collection provides an intellectually rigorous and accessible overview of key topics in contemporary natural law jurisprudence, an influential yet frequently misunderstood branch of legal philosophy. It fills a gap in the existing literature by bringing together leading international experts on natural law theory to provide perspectives on some of the most pressing issues pertaining to the nature and moral foundations of law. Themes covered include the history of the natural law tradition, the natural law account of practical reason, normativity and ethics, natural law approaches to legal obligation and authority and constitutional law. Creating a dialogue between leading figures in natural law thought, the Companion is an ideal introduction to the main commitments of natural law jurisprudence, whilst also offering a concise summary of developments in current scholarship for more advanced readers.